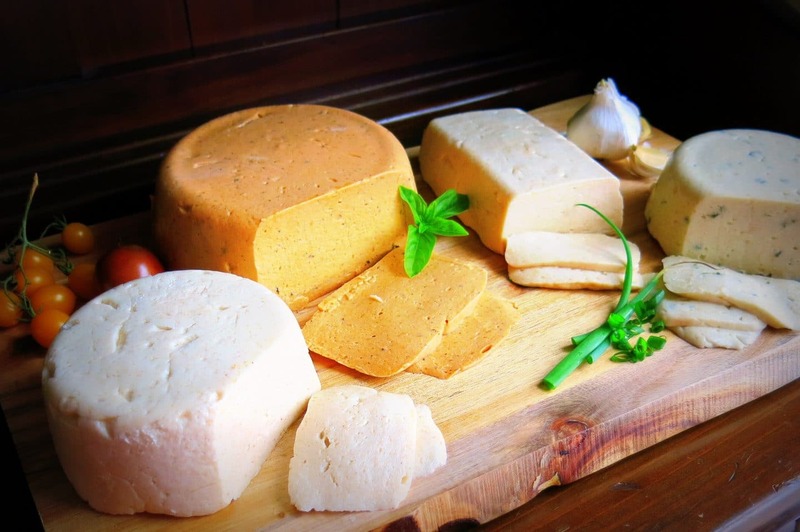 According to the Global Vegan Cheese Market 2019-2023 report, the vegan cheese market is valued at $8 billion in 2018 and is expected to reach $9 billion by the end of 2025, growing at a rate of 1.7 per cent. In 2018 it was estimated by The Vegan Society that 3 per cent of the UK’s population is Vegan. Whilst that may seem like a small figure, 50 per cent of those people only became vegan in 2017/18. In addition, there is also an increasing awareness of lactose and dairy-intolerant conditions, which has had an adverse effect on the sales of dairy products across the globe. Instead, consumers are buying dairy alternative products such as almond milk, vegan margarine and vegan cheese. Depending on the brand and recipe that’s used, vegan cheese can be made from soy protein (used in shiny, slick, rubbery varieties), solidified vegetable oil (like coconut, rapeseed, or sunflower) nutritional yeast, thickening agar flakes, nuts (including cashews, macadamias, and almonds), tapioca flour, natural enzymes, vegetable glycerin, assorted bacterial cultures, arrowroot and even pea protein. 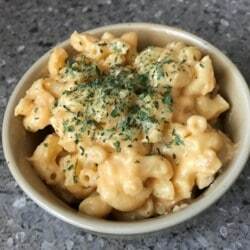 One particular dish that uses vegan cheese is vegan macaroni cheese. 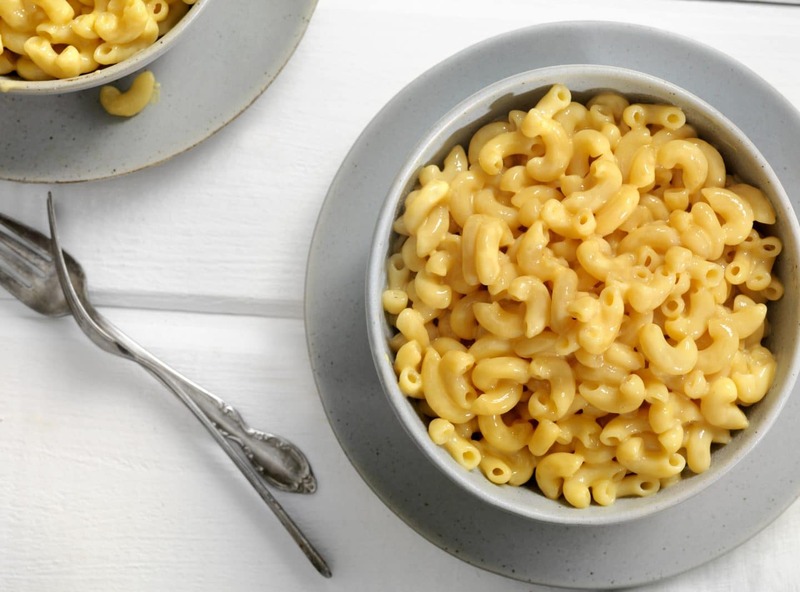 Non-vegan macaroni cheese has been dominating the global market for years, however thanks to the growing numbers of vegan cheese options it is also now available for customers avoiding dairy. According to research, over the past 10 years the inclusion of macaroni cheese on menus has increased by over 700 per cent. Therefore, including a vegan version of this popular dish on your menu is sure to be a hit. Macaroni cheese is not always served-up as the classic dish of cheese sauce and macaroni, more recently it has been dished-up with a variety of additional toppings. Topped macaroni cheese has been extremely successful over the past couple of years with restaurants adding pulled pork or even fried chicken atop the cheesy dish. This can also be changed for vegan customers, for example it can be topped with BBQ pulled jackfruit, cauliflower hot wings or even fried seitan (a meat alternative). Many restaurants have recognised the need for vegan dishes, particularly vegan macaroni cheese, and have added it to their menus. 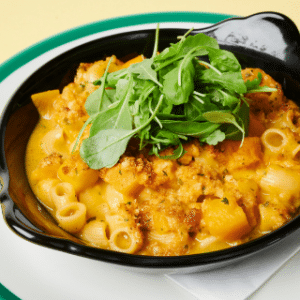 Casual dining restaurant Frankie & Benny’s recently added the macaroni no cheese to their menu, following demand from customers to add more vegan options to their menu, and restaurants Zizzi and Pizza Express have also added vegan cheese pasta dishes to their menus. Alongside the rising number of restaurants now serving vegan macaroni cheese, there has also been an increasing number of street food stands serving the dish. At KERB London there are now 8 fully vegan street food stands, some of which serve up vegan macaroni cheese, and that number is expected to rise even further by the end of 2019. Like all hot pasta dishes, macaroni cheese requires insulated, leak proof packaging. At Bunzl Catering Supplies we have a number of food packaging options that are suitable for serving vegan macaroni cheese, from open card trays, perfect for serving in a street food environment, to bagasse or foam hinged lid containers. As well as large round hot food containers; in plain white or popular stock designs. Handy pop-up foil or greaseproof sheets can be used to provide an extra layer of grease- and liquid-proof material – and don’t forget the forks, no pasta dishes can be eaten without one! Here at Bunzl Catering Supplies we are experts in food packaging that travels well – if this blog has inspired you to add vegan dishes like macaroni and cheese to your menu, why don’t you give us a call to discuss your packaging options first?